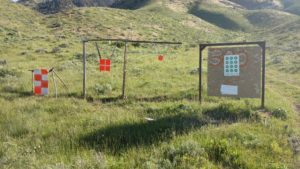 The Jackson Hole Shooting Sports Foundation (JHSSF) has teamed with the Jackson Hole Shooting Experience to improve and maintain targets beyond 100 yards in the Rifle Bay this summer. 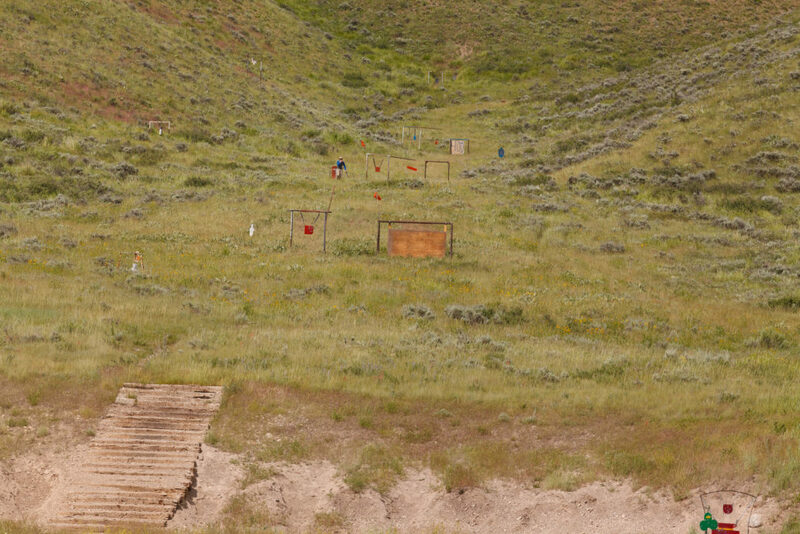 This is great news for sportsmen that get their kicks from Target Shooting in Jackson Hole! The JHSSF will pay for targets, miscellaneous chains, tools, bolts, wind flags etc. JHSE will donate the management, purchase, installation & maintenance of targets. A color-code has been implemented, which will help in identifying and describing target distances. A constant problem we have identified is that range users try to describe a particular target or distance to their companion, but have great difficulty. This is a simple solution! *The JHGC lease with the Forest Service extends to 600 yards, and that is as far as we maintain targets. Cans of spray paint will be left within 15 yards of each target, and members are encouraged to pitch in and touch up the paint when you are up hanging paper targets! If we all jump in and help out, our targets will look better and be more fun for everyone!